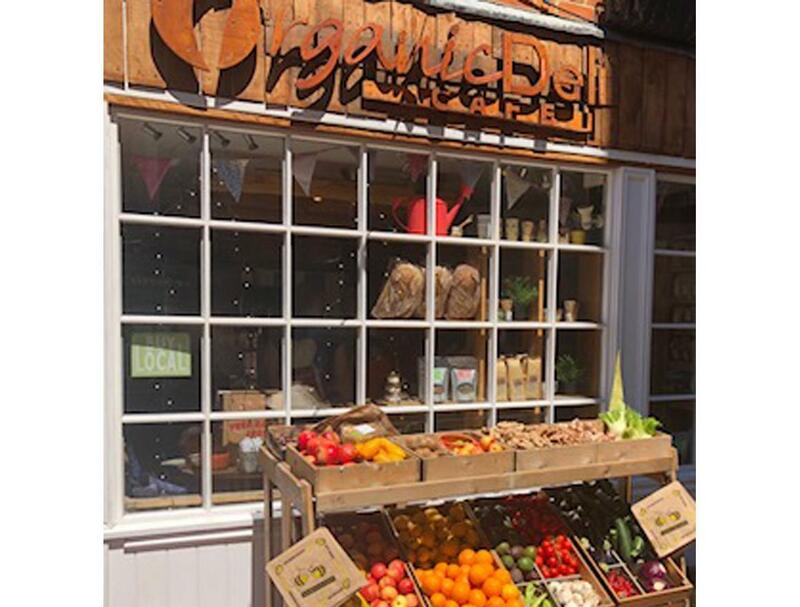 The Organic Deli Cafe is the first in Oxfordshire to offer Slow Pressed Juicing, organic juices made to order with the option to add 'Power Ups' - like your favourite protein powder, seed or why not a hit of organic CBD Oil. Food & drink in Oxford use Deliveroo, event catering in Oxford its here. Organic Deli Cafe & Wholefoods Store offers meals of excellent quality and invite you to try our delicious food. The key to our success is simple: providing quality consistent food that tastes great every single time. We pride ourselves on serving our customers delicious genuine dishes like: Breakfast, Coffee, Sandwiches. Trevor, Cristina & Team Organic! Looking for food delivery in Oxford? Not everybody knows or has the time to prepare tasty food. When you want to get served like a king then food delivery from restaurant Organic Deli Cafe & Wholefood's Store will be your best choice. We make every event a success, an occasion to remember. You will find delicious solutions guaranteed to take the stress out of organising. We cater to outside locations no matter how remote or hire out our space for groups and organisations. All our options are customisable. requirements of any situation. Our repertoire includes coffee, cake and tea spreads; garden party catering; conference lunches; hot food and evening event services. Having served high-profile clients and institutions, summer parties, conferences, birthday parties, hen-dos, special interest meetings, and film shoots, the Deli promises a solution that works for you. For a flexible approach to your requirements call Trevor on 01865 364853 or email info@oxfordorganic.co.uk. Run your own POP UP Restaurant. The Organic Deli Cafe spans over two floors and has an Alfresco Dining Area called 'The Secret Garden'. We can assist your great idea with operating hours from 6.30pm-11pm, access to the kitchen from 6pm. A Full alcohol licence. Sonos music system. POS via an Ipad to upload your products onto and take Card Payments. Allow Customers to order online via 'Deliveroo'. For more information Call 01865 364853 or email info@oxfordorganic.co.uk. Want to grab some groceries? Head on over to our sister website where you can enjoy free shipping on everything!! 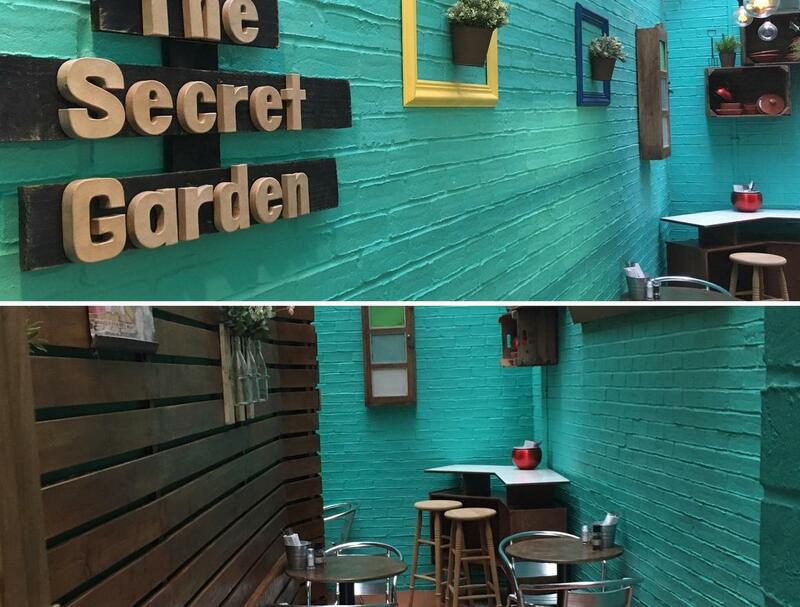 Over 3 Floors of Seating, a Secret Garden with a roof, air-conditioning & lovely team members. The Secret Garden at the back of the Cafe.